Every year when the Canadian winter arrives, it's time for my son and I to take a vacation to somewhere warm and sunny. This year we went to and incredible place in the Caribbean. 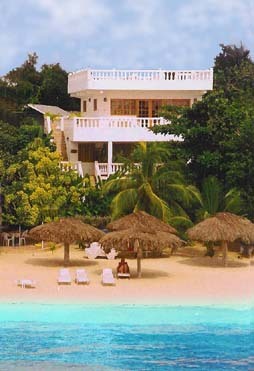 We had decided to visit the island of Jamaica, because we had heard about a wonderful place called Negril. But nothing could have prepared us for the all the beauty, wonder and fun we found in Negril. In the past we have stayed at many different all-inclusive resorts, so this year we thought we'd try something different. 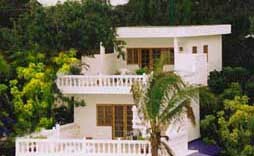 We rented a beautifull villa on Negril Beach, and when we arrived we couldn't have been happier about our decision. The place was called "The Beach House Villas and Hotel". It was just a stone's throw from the water and was surrounded by a beautiful garden full of flowers and fruit trees. It had a wonderfull balcony overlooking the sea, with a lovely restaurant right next door. It also came with a full kitchen, so we could save a little money by doing some of our own cooking, which was really great. Oh, and the sunsets...that was really something else! Negril is on the western coast of Jamaica and the sunsets we watched from our balcony every night were among the best and most memorable I've ever seen! The colors over the Caribbean sea were breathtaking! Negril Beach was incredible! It is a stretch of white sand almost seven miles long. We were able to walk to just about everywhere we needed to go throughout our entire vacation in Jamaica. The only time we needed to take a taxi was when we went to the supermarket to stock up on some groceries. It was within close walking distance, but we thought it would be better than carrying all of our bags back to the villa. All along the beach there are lot of exciting things you can do. Everything from parasailing, to jet skis, to boating and fishing tours. There were lots of great restaurants along the beach too. Just the restaurants alone made us so happy that we did not choos to stay in an all-inclusive resort, because we got the chance to tast all of the local Jamaican food that we would have missed out on had we chosen to stay in a resort rather than a villa on the beach. Negril Beach also had many differnt nightclubs and bars...and I was even able to arrange babysitting from the Beach House Villas to watch my son while I went out to some of the nightclubs during our stay! Both my son and I had an incredible time in Negril Jamaica, and we are so glad we went! It was among the best vacations we have ever taken, and we are planning on coming back soon!